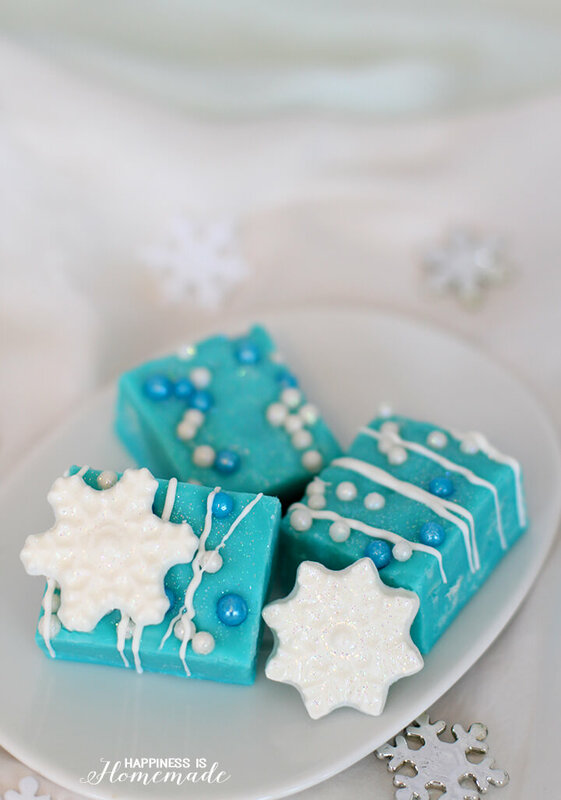 Inspired by the popular animated movie Frozen, this white chocolate and vanilla fudge comes together in under 5 minutes and uses only 4 ingredients! 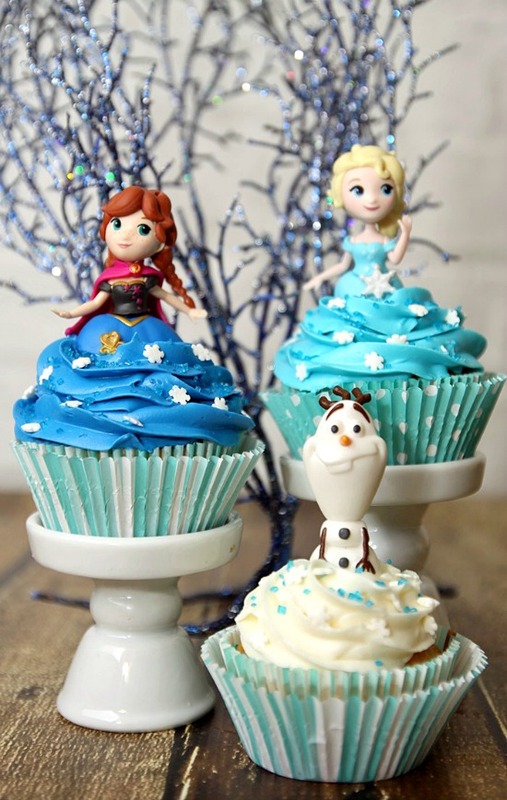 Can you believe that it’s been over two years since the release of the wildly popular movie Frozen?! It’s still on near-constant play rotation in many households, and children and adults alike are just as enamored with it today as they were two years ago. 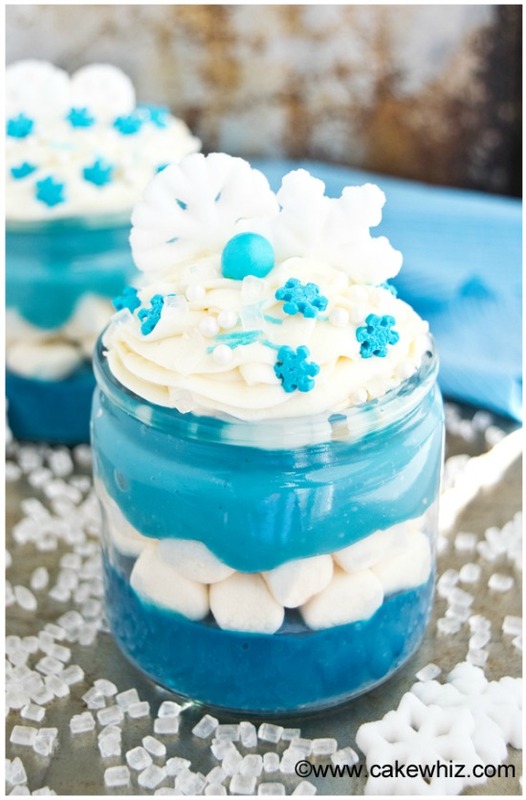 I don’t see the Frozen trend disappearing any time soon! 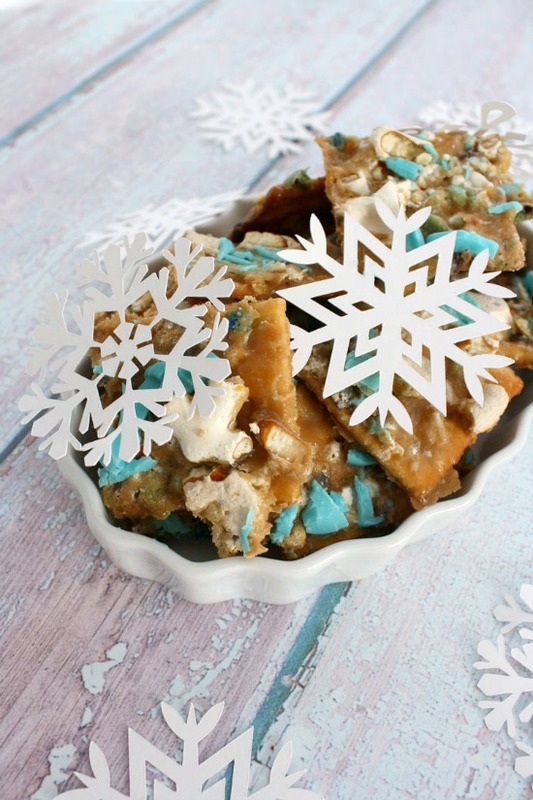 Inspired by the hit movie, my boys and I created this fabulous “Frozen Fudge” recipe that’s as delicious as it is pretty. Line the 8×8 pan with parchment paper and set aside. In microwave-safe bowl, melt the white chocolate chips and sweetened condensed milk – heat in 30-second increments, stirring well after each one. 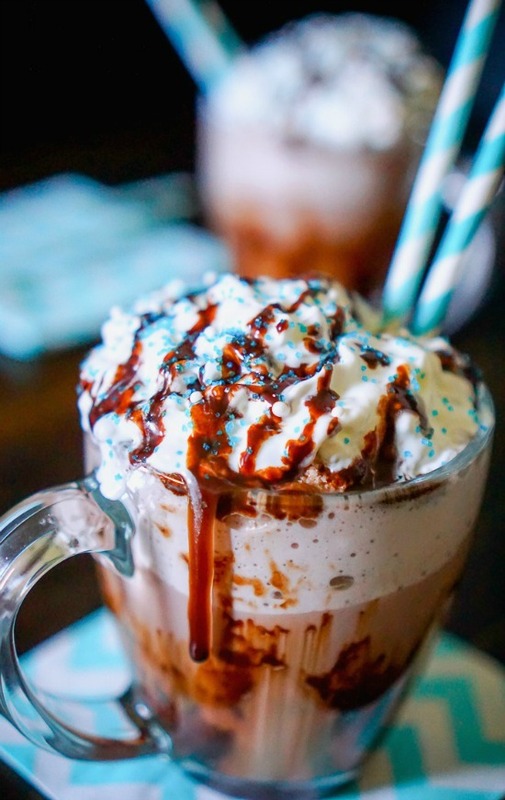 Stir in the vanilla extract and blue food coloring. Pour the fudge mixture into the parchment lined pan, and top with sugar pearls and disco dust. Allow to firm in the refrigerator for one hour. 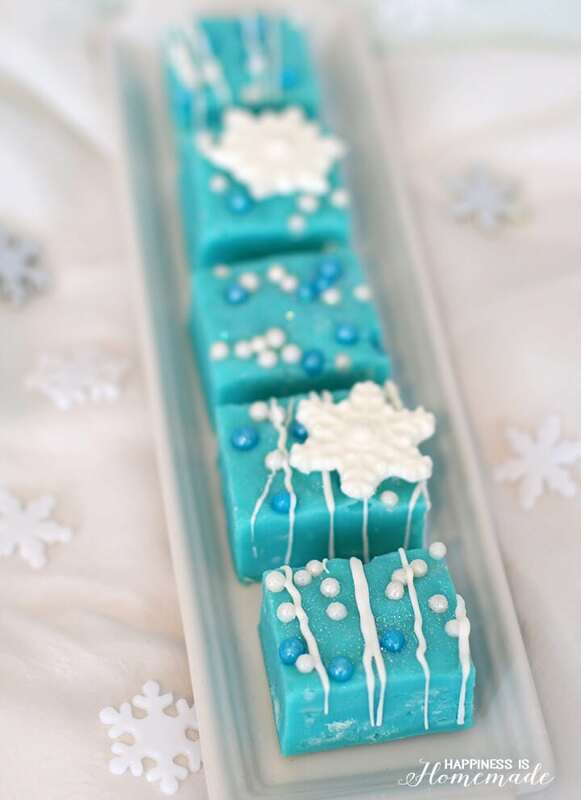 If desired, melt white candy melts to drizzle over the top of the fudge, and use the remaining melted candy along with the snowflake mold to create edible snowflake embellishments (add a sprinkle of disco dust to the mold before adding the melted candy to create sparkly snowflakes!). Line the 8x8 pan with parchment paper and set aside. In microwave-safe bowl, melt the white chocolate chips and sweetened condensed milk - heat in 30-second increments, stirring well after each one. 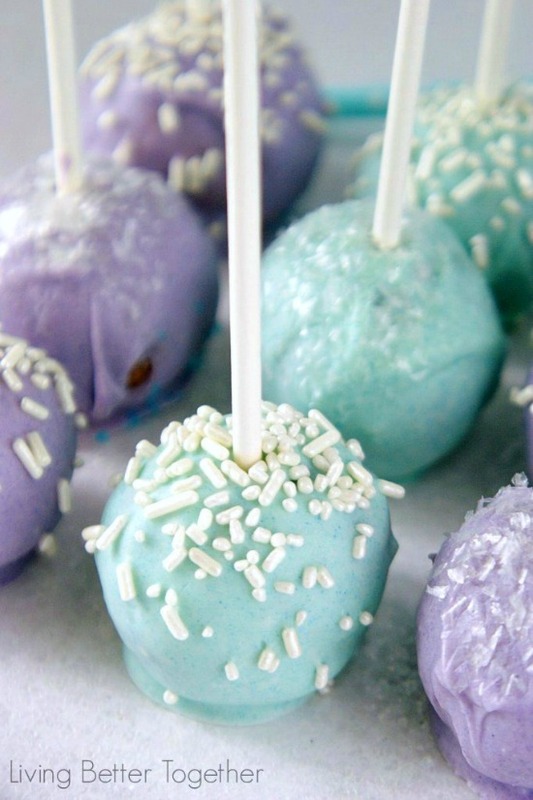 Stir in the vanilla extract and blue food coloring. Pour into the parchment lined pan, and top with sugar pearls and disco dust. 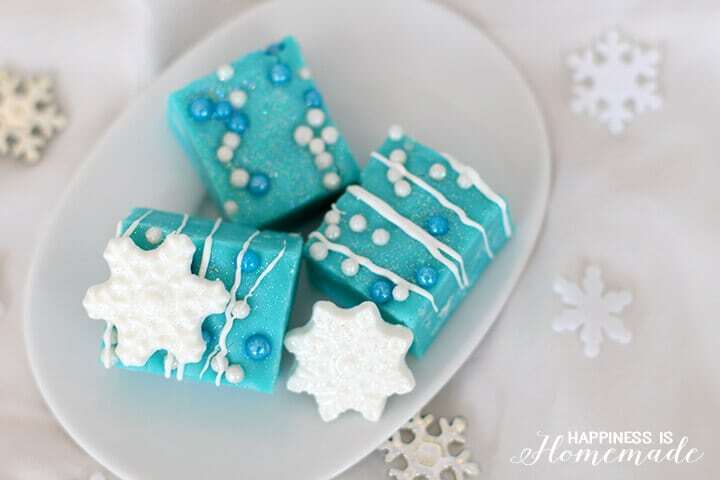 Allow to firm in the refrigerator for one hour. 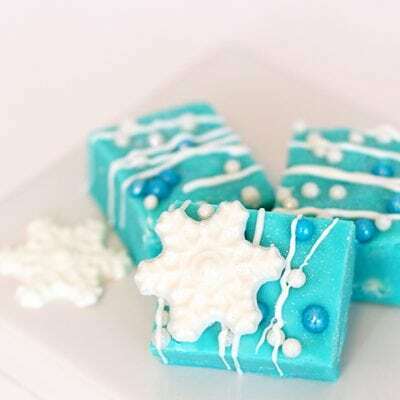 If desired, melt white candy melts and use the snowflake mold to create snowflake embellishments (add a sprinkle of disco dust to the mold before adding the melted candy to create sparkly snowflakes!). 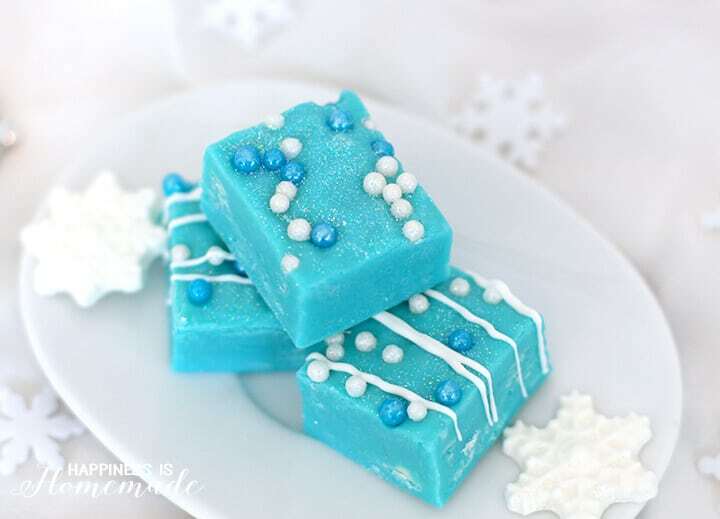 This Frozen fudge is sure to be a hit at your next Frozen or winter themed party (click here for some super fun Frozen party ideas!)! 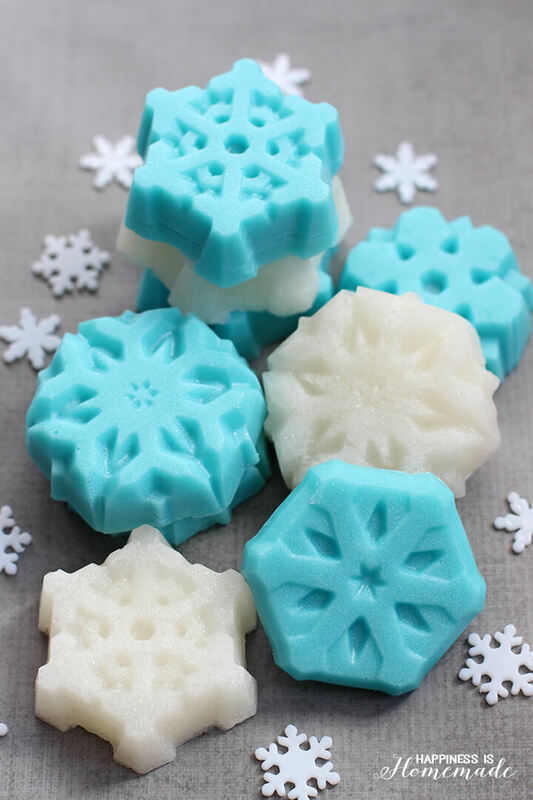 You might also like these Frozen Sugar Scrub Bars that I whipped up last month, too!